The last writing (or “book”) in our modern Bibles is commonly known as Revelation. The New American Standard (NAS) translation titles it “The Revelation of John”. The Concordant Literal New Testament (CLNT) most appropriately titles it “The Unveiling of Jesus Christ”. The Writ, Dabhar Translation Vol. 2, simply shortens it to “Unveiling”. 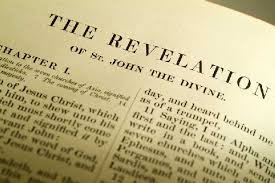 Because of popular teachings I’ve heard in my past, when I hear the title "Revelation", or consider the Bible “book” of Revelation, I also tie in an idea that it is called that name because the revelation was given to John by a messenger of God. However, this week, as I very slowly took the time to read Revelation 1:1-3 and ponder the words more slowly, I realized something altogether much more meaningful. The revelation was given to Christ, by God, first and foremost! Christ would not have known any of it except that God revealed it to Him. God pulled back the curtain to one of the scenes of His preordained future plans and revealed that scene to Christ in order for Christ to subsequently reveal it to those belonging to Him. Accordingly, Christ revealed the scene to a messenger who then revealed it to John. This messenger referred to himself as a fellow slave of John’s and of the prophets (Rev. 22:9). The Scriptures repeatedly remind us that all is out of God and through Christ, and once again we are reminded of that in Revelation 1.
and the witnessing of Jesus Christ, as much as he perceived." * ALL IS OUT OF God and THROUGH Christ. * Only GOD, the Almighty YHWH, knows EVERY thing. * What Christ knows He knows only because God has revealed it to Him. 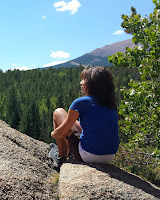 I never cease to stand amazed at GOD and His All-Mightiness.